The winds howled all last night and it rained as well. Temperature was below 40 this morning but we decided we may as well move on as to stay still for the day. We had a good breakfast and set out around 9 am. 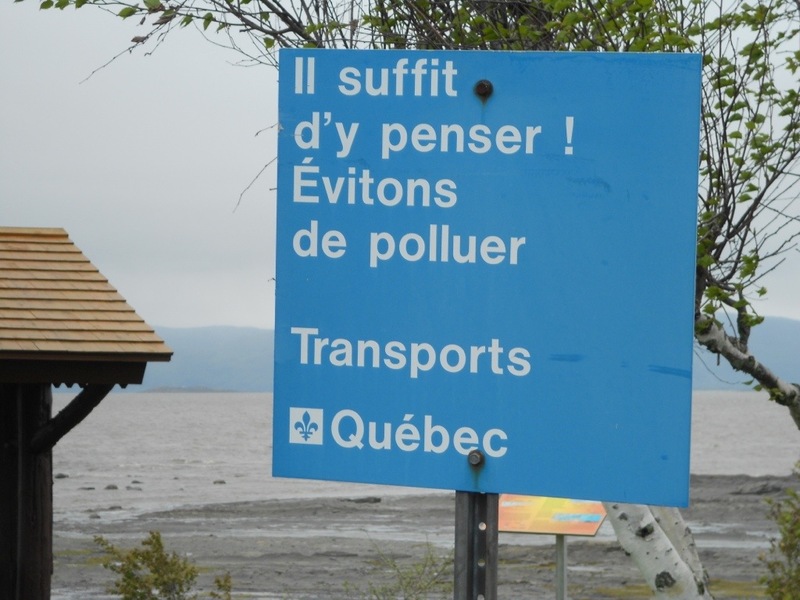 We are definitely in French speaking country. Hardly anyone speaks good English; some folks can speak enough to answer our questions and some can speak no English at all. Today we are driving toward the Gaspesie Peninsula. 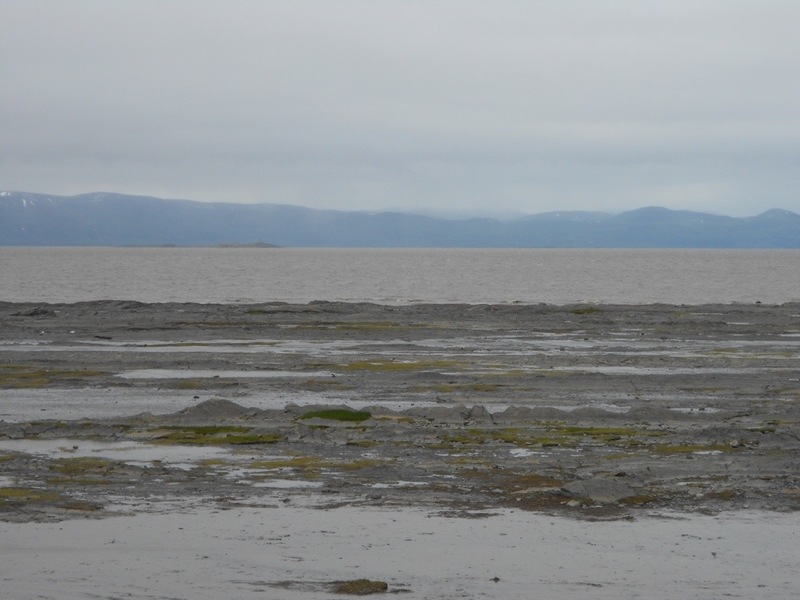 The two lane road hugs the banks of the St. Lawrence River, which is at low tide during the middle of the day. We have passed through several little villages today, and although we’ve been on the road for 6 hours, we’ve only driven 150 miles. We’ve had a detour, and the speed limits on this road are low. We also stopped for a few groceries at a local store, and that took longer than usual due to the language barrier. But it was actually fun figuring out items in the grocery store. 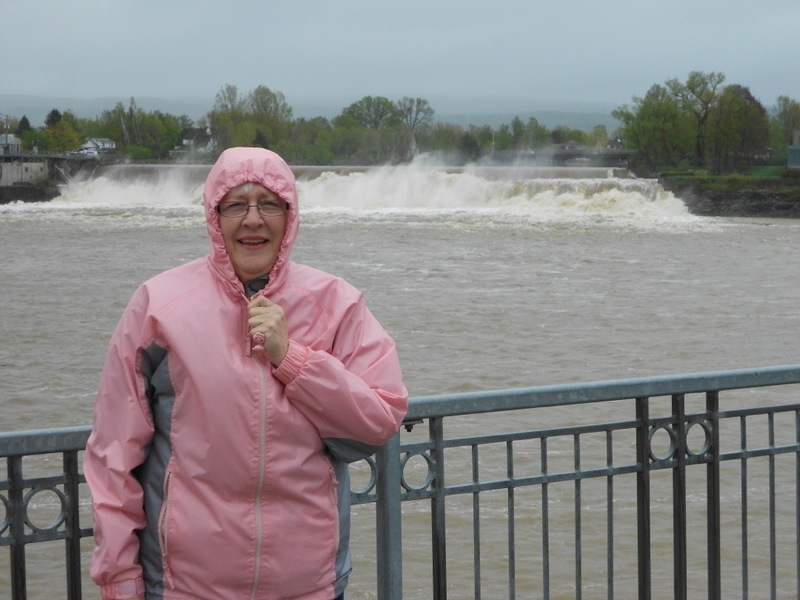 Some of the names of the villages we’ve passed through are Montmagny, Saint Jean Port Joli, saint pascal, and we’ve settled in the Camping du Quai campground for the night. 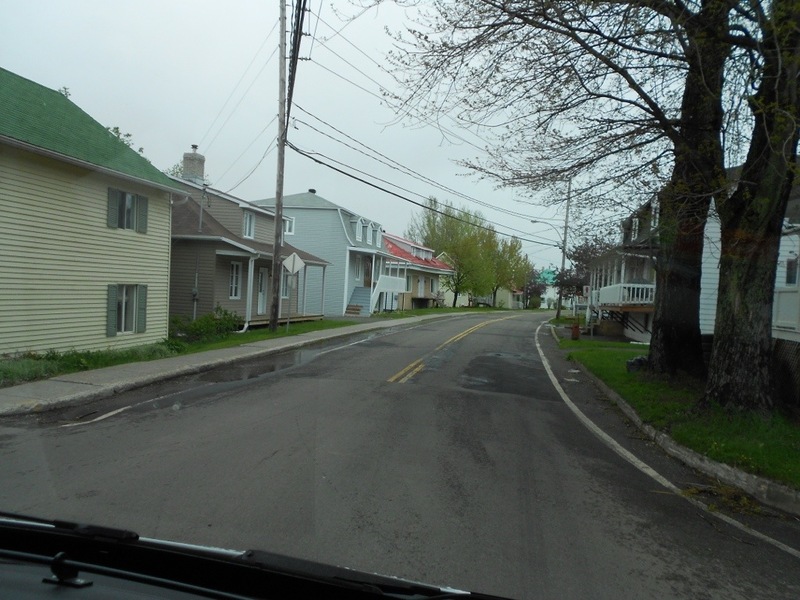 the village is called Rivière du Loup and we are right on the banks of the St. Lawrence River. 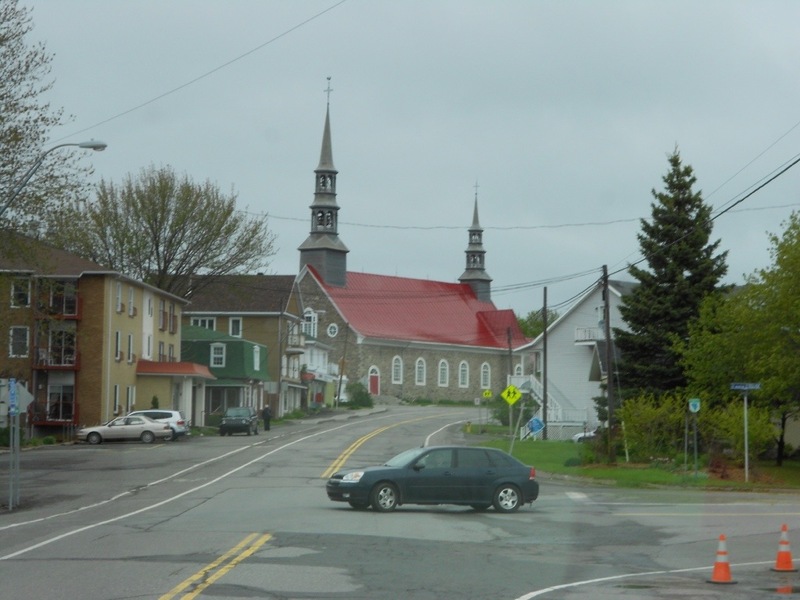 Every little village we passed through has a huge double steeple church in the center of town. It seems there is only one denomination, and I haven’t figured that out yet. Still freezing rain, but Greg has on his jackets and rain poncho to do the hookups outside. We continue to be warm and cozy inside the RV, but we would love to be outside!!! We hope every day will get warmer. 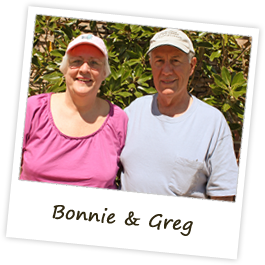 Tomorrow we will continue on the Gaspesie Loop around the peninsula. We should see ocean tomorrow. 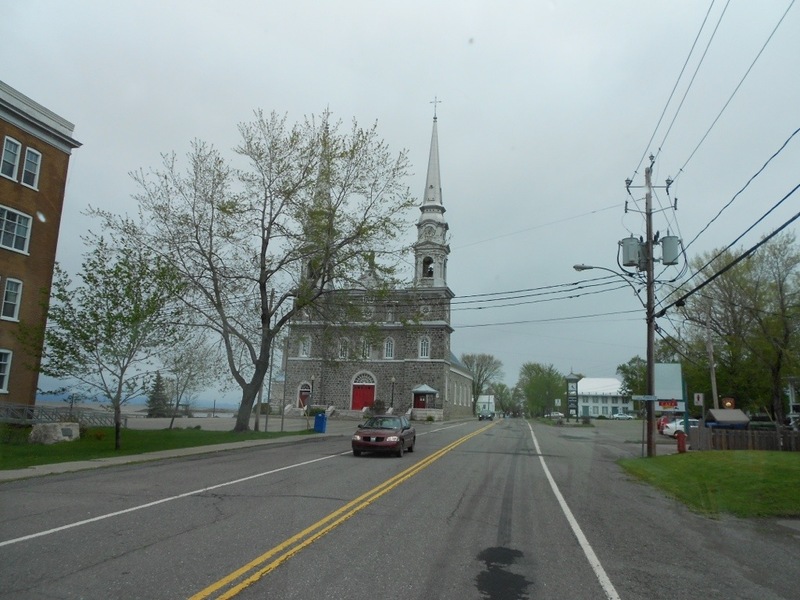 The photos show me near a dam on the St. Lawrence River, and some sights from the little villages. 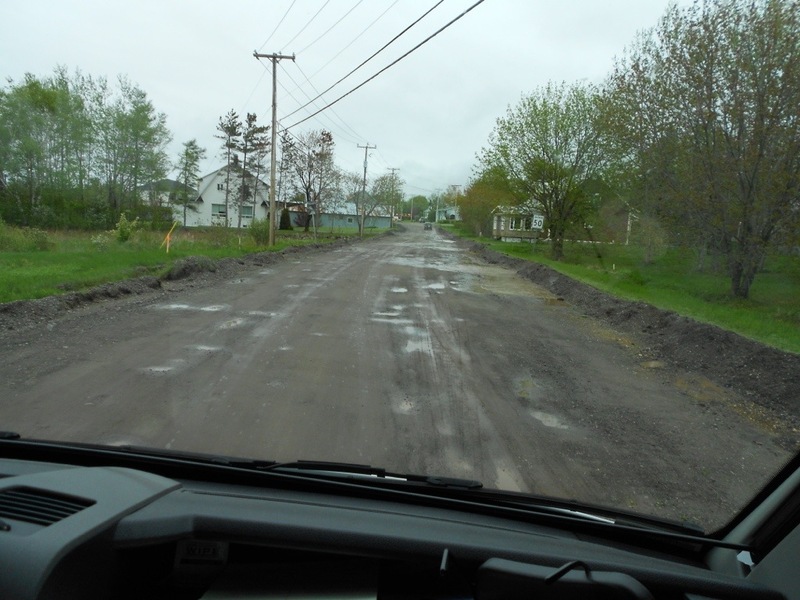 One photo shows the St. Lawrence river at low tide, and one photo shows the bad road we experienced while on a “detour” through one of the villages. Hey, you all!! Just caught up with you today, I had tried the weekend you left but you had posted yet, then remembered today to check in on you guys. Hope you are both well, being safe also! I was thinking, you could have Lisha’s daughter Ansley translate that French for you, just give her a ring! LOL! We should have had her give you some basics where you were down here! Ha, ha! But it does sound like you are making headway anyway, so good luck with that. Enjoying all the pixs as well. Enjoy yourselves, I’ll keep you in my prayers for a safe journey. Miss you, love you.